Thanks to Benito in Amherst, who tuned me on to some great African music I hadn’t heard. 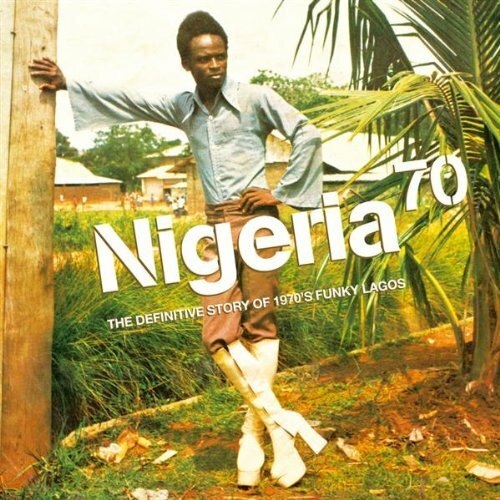 This one is from Nigerian, Peter King, from a compilation entitled Nigeria 70 Vol. 1. According to Wikipedia, Peter King is “perhaps better known in Europe and America than in Nigeria” for his jazzy afrobeat sound. So I guess this is sort of white man’s African music. Another of King’s tunes, “Afro Funk,” will flow forth from the second video below if you click it. Just sit back, all you honkeys out there, and enjoy.